Consider the family of surfaces defined by , where . This Demonstration plots the surface and approximates the two-dimensional integral , the volume under the surface, using a Monte Carlo approximation method. 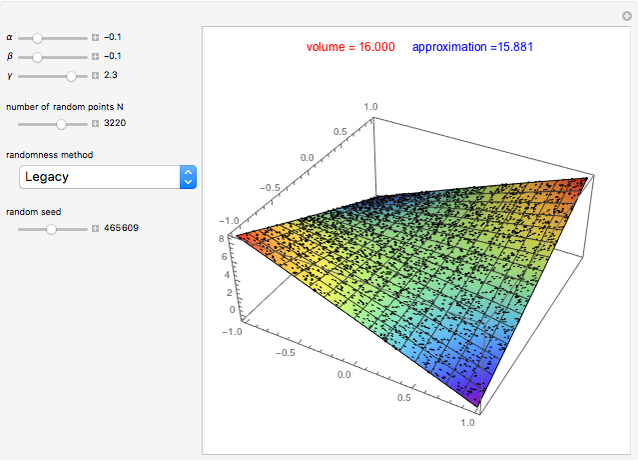 You can vary the values of the parameters , , and and the number of randomly generated points on the surface. 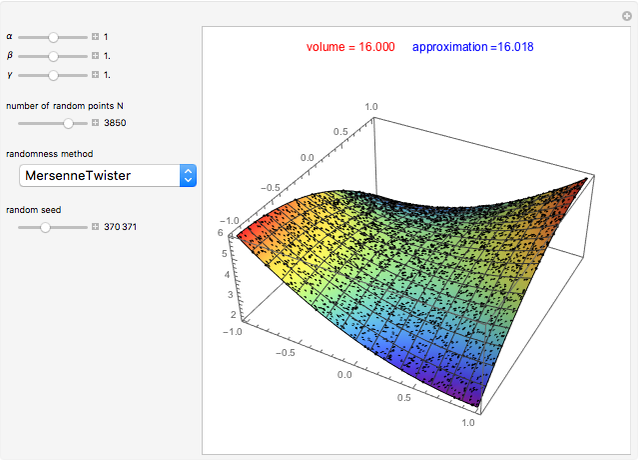 The approximate volume, given by , is compared to the result from Mathematica's built-in function NIntegrate. Housam Binous, Brian G. Higgins, and Ahmed Bellagi "Two-Dimensional Integrals Using the Monte Carlo Method"